The groups urge Congress to prevent CMS from applying Merit-based Incentive Payment System adjustments to Part B drug payments. Eleven medical societies in the United States are calling on Congress to preserve patient access to Part B therapies by preventing the Centers for Medicare & Medicaid Services (CMS) from applying Merit-based Incentive Payment System (MIPS) adjustments to Part B drug payments. Medical societies including the American College of Rheumatology, the American Academy of Neurology, and the American Society of Clinical Oncology issued letters to the chairs and ranking members of the Senate Finance, House Ways & Means, and House Energy & Commerce committees urging Congress to prevent CMS from penalizing physicians who provide these treatments. The societies note that this policy change could jeopardize patients in communities that are most in need of access to these treatments. The current Part B drug payment structure already makes it difficult for some providers, particularly those in small practices or working in rural settings, to procure and administer expensive Part B drugs. The societies warn that the new MIPS policy would exacerbate this problem by creating volatility and financial uncertainty for the physicians who administer these therapies. The letter also asks Congress to address the weighting of the MIPS cost score category. 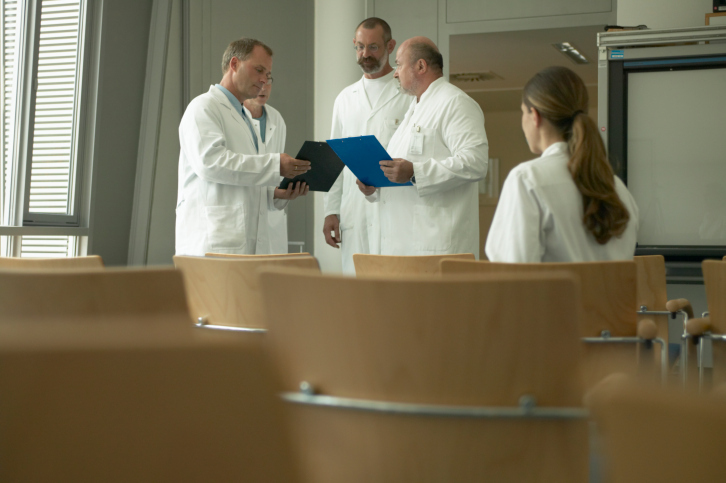 The groups note that CMS has not outlined an adequate strategy for risk adjustment for physicians with patient populations at risk for high resource use. Eleven leading medical societies urge congress to preserve patient access to critical part B therapies [press release]. Atlanta, Georgia: American College of Rheumatology. https://www.rheumatology.org/About-Us/Newsroom/Press-Releases/ID/868/Eleven-Leading-Medical-Societies-Urge-Congress-to-Preserve-Patient-Access-to-Critical-Part-B-Therapies. Published December 5, 2017. Accessed December 6, 2017.